On sale! This Starburst Bow sock by Jefferies is a change from the ordinary. 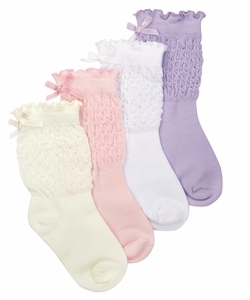 With a scrunchie look, they're sure to please!